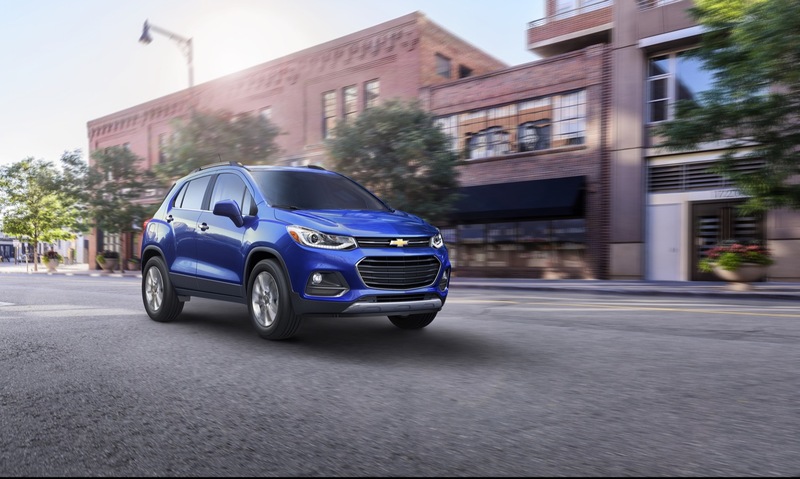 Chevrolet performs a mid-cycle refresh to the subcompact Trax crossover for the 2017 model year. The update brings styling revisions to the front and rear, an updated and more premium interior, new (optional) active safety features, and a new infotainment system with available Apple CarPlay and Android Auto compatibility. 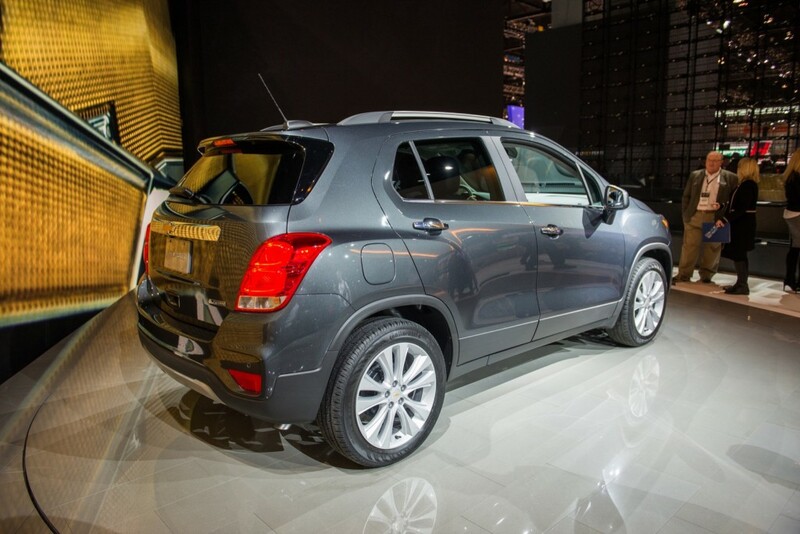 The revised design brings the Trax inline with Chevy’s global design language. 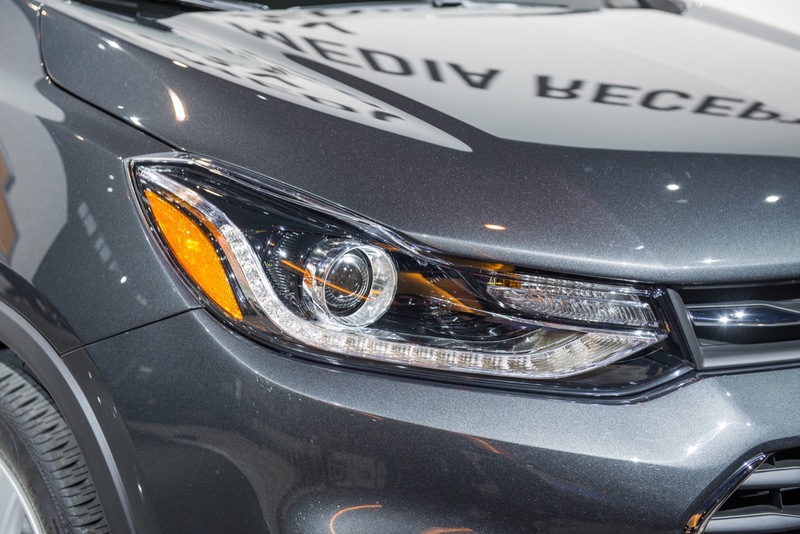 A new grille and headlamps echo the design language of new Chevrolet models such as the 2016 Malibu, 2016 Cruze, and 2016 Volt. 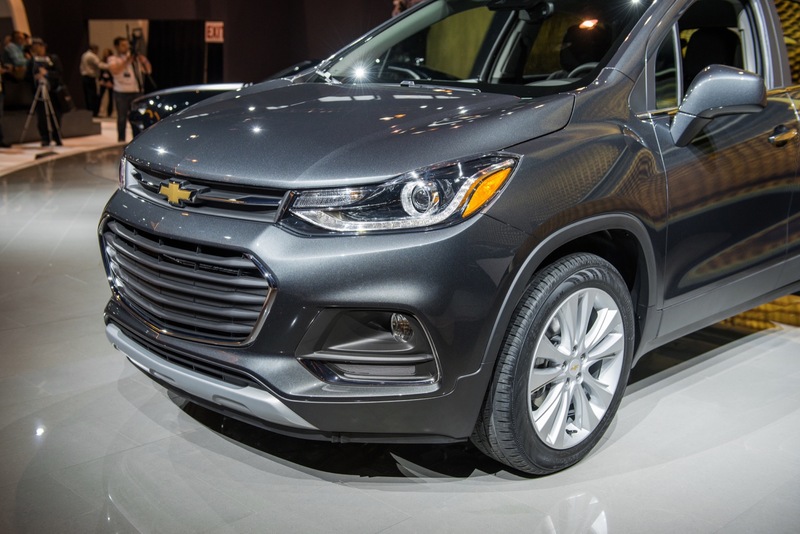 The grille is Chevrolet’s new proportioned dual port grille, while sleek headlamps flow around the corners and into the front fenders. 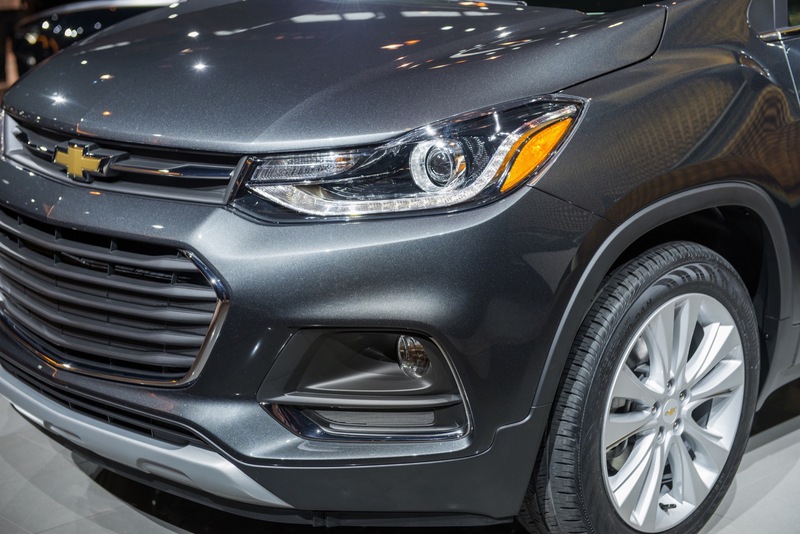 Trax LS models feature new halogen reflector headlamps and uplevel LT and Premier models get halogen projector headlamps with LED signature lighting. 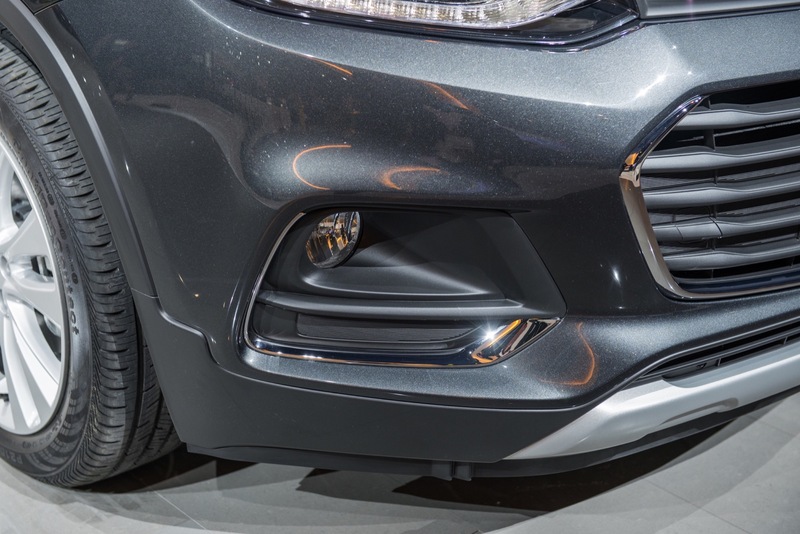 Chrome trim accents the outboard fog lamp bezels. At the rear is a new fascia and dual taillamps. 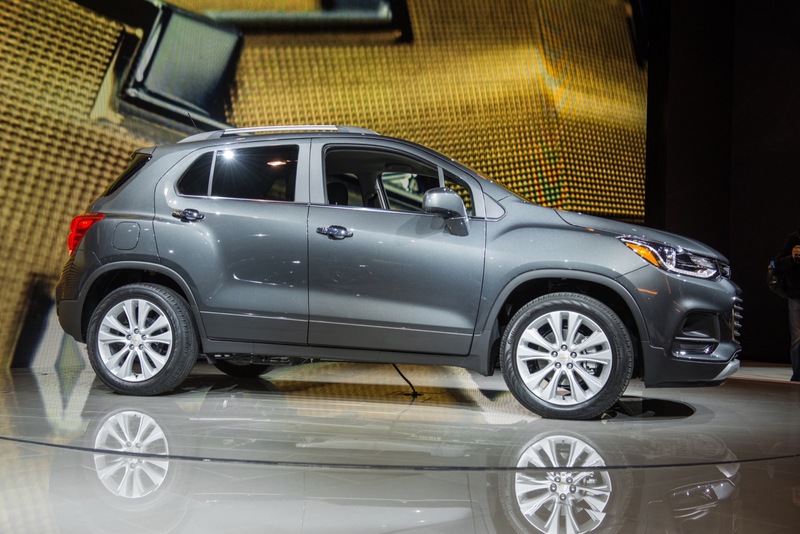 The Premier model features LED signature lighting and is offered with new 18-inch aluminum wheels. A redesigned dashboard serves as the foundation for the premium interior enhancements of the 2017 Trax. 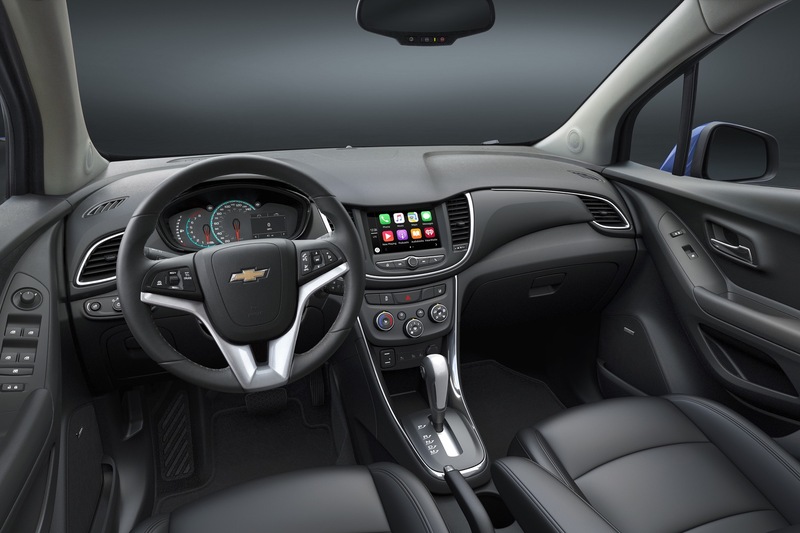 Chevy says that the new design interprets its signature dual-cockpit design more expressively via an upper dashboard “hood” that flows uninterrupted across the panel to enhance the perception of spaciousness. The center instrument panel is also redesigned. It now features greater visibility of a new 7-inch-diagonal MyLink color touch screen. Galvano chrome trim on the instrument panel and console contribute to the premium ambiance of the subcompact CUV. The Premier trim is offered with contrasting-color instrument panel trim that matches the leatherette seating trim. 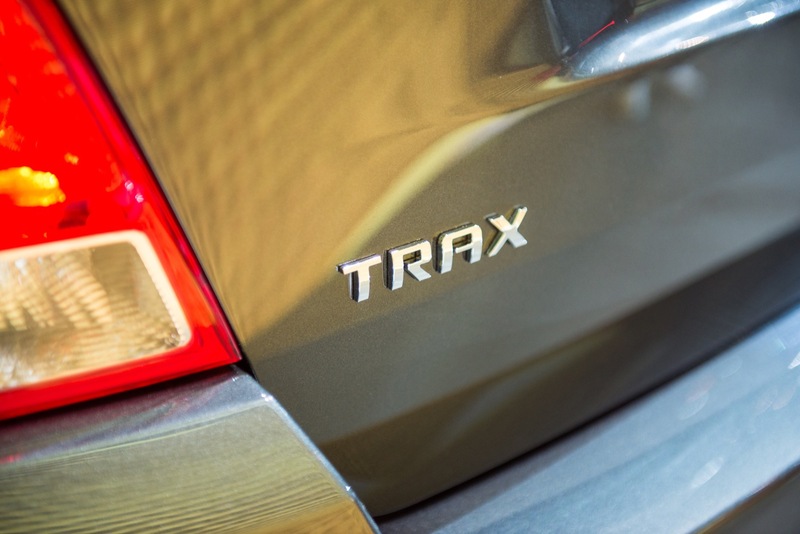 In addition, the 2017 Trax replaces the motorcycle-inspired instrumentation of the 2013-2016 Trax with a new gauge display. The new display features prominent analog speedometer and tachometer readouts along with digital displays from the standard driver information center. 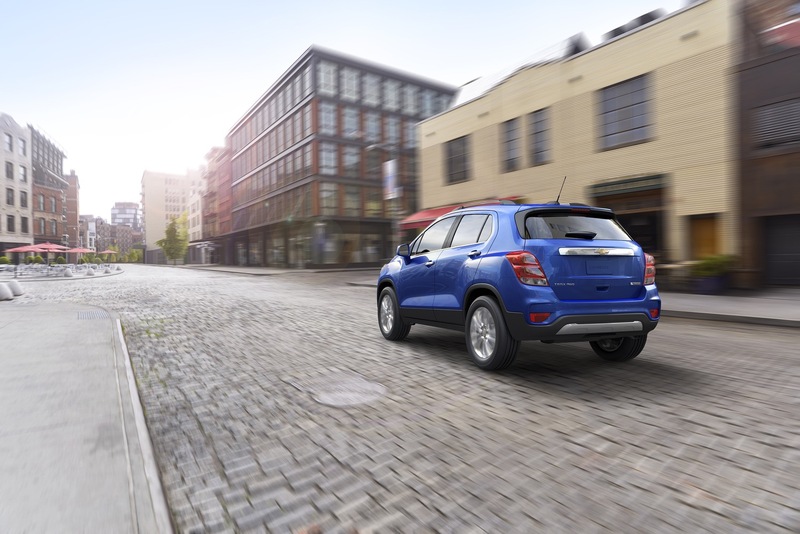 The 2017 Trax offers a new 7-inch diagonal infotainment system designed to support the latest connectivity technologies, including available Apple CarPlay and Android Auto compatibility. Also new is available Keyless Open and Start, allowing drivers to lock, unlock, and start the vehicle without taking the key out of their pocket or purse. Additional crash-avoidance technologies include a standard rearview camera, while 10 standard airbags highligfht the post-collision safety features. 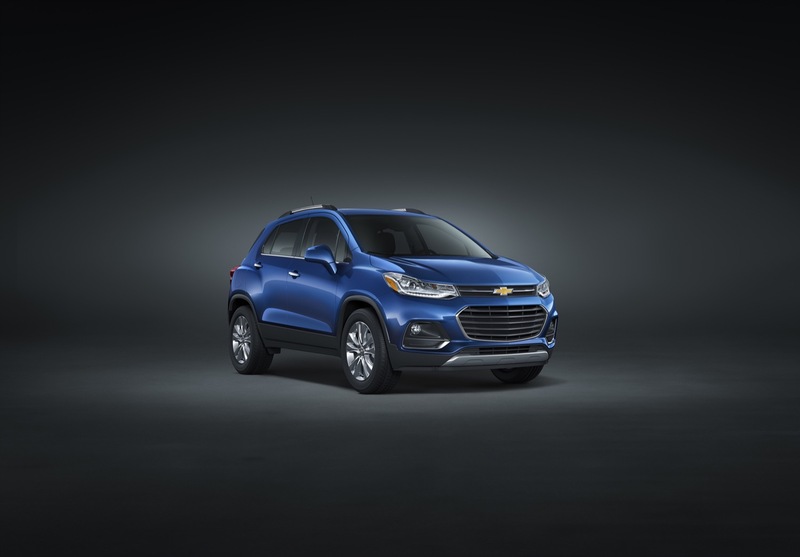 Where the refreshed Trax doesn’t see any updates is in the powertrain department: instead of throwing in the all-new 1.4L Turbo LE2 from the Cruze, the 2017 Trax continues to chug along with the old-but-proven 1.4L Turbo LUV mated to a six-speed automatic transmission. The engine is rated at an SAE-certified 138 horsepower (102 kW) and 148 pound-feet of torque (200 Nm) between 1,850 and 4,900 rpm. 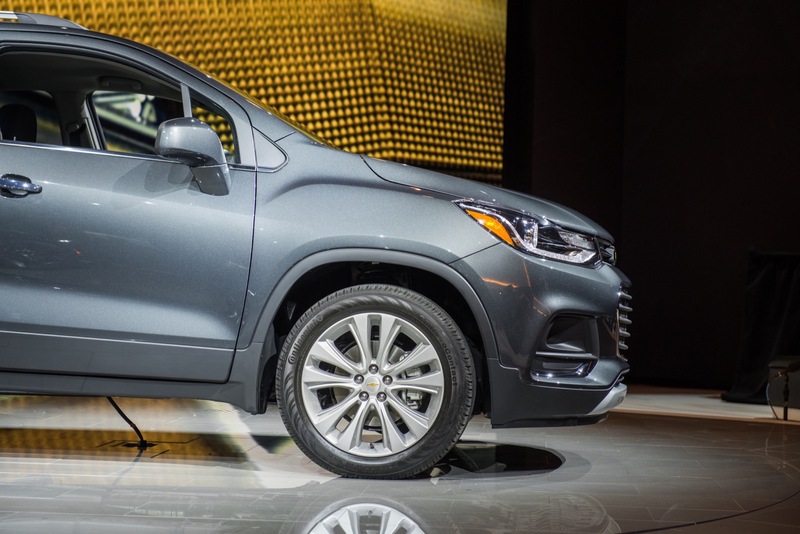 The 2017 Chevy Trax will be offered in LS, LT and new Premier trim levels. Premier replaces LTZ as the range-topping trim. Pricing has not yet been announced. We will update this section when it is. 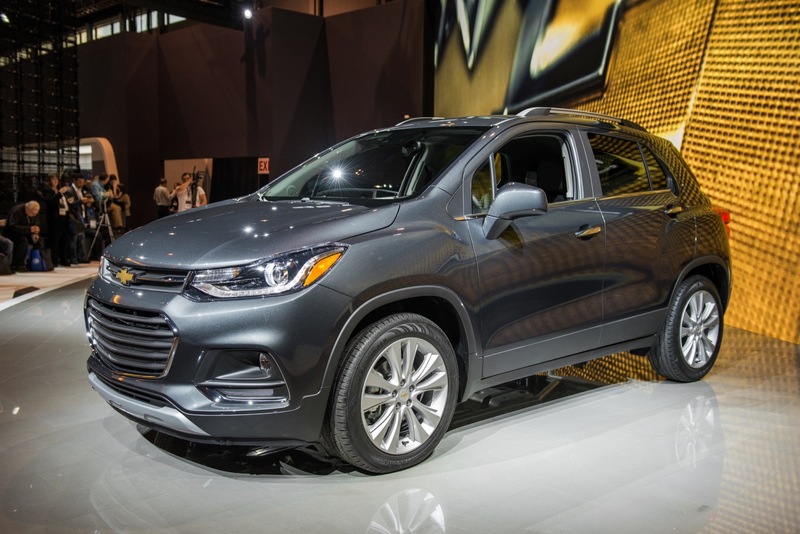 The 2017 Chevy Trax will be available in all markets where GM markets the Chevrolet lineup, with the exception of India, which will not sell the Trax. The 2017 Trax goes on sale in the fall of 2016. 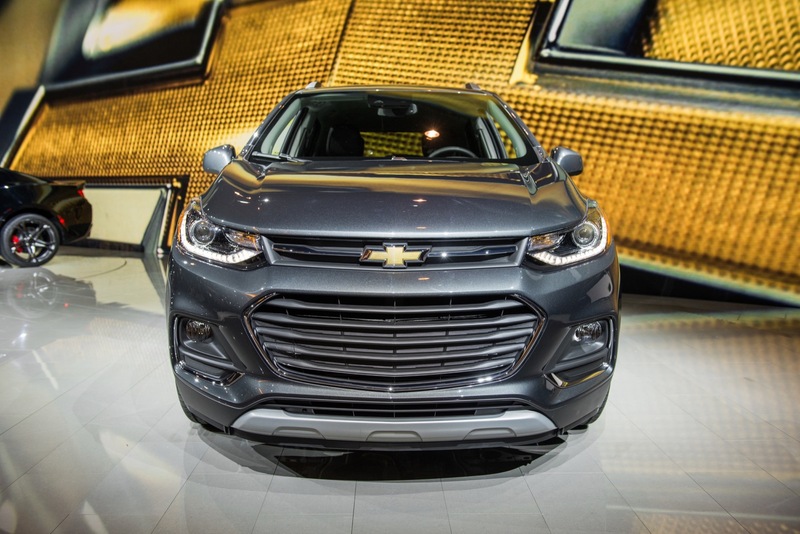 2017 Chevy Trax specifications have not yet been released. We will update this section when they become available.